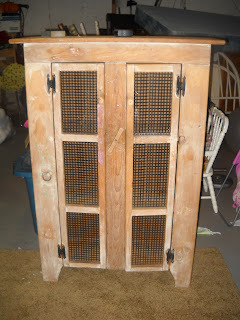 My BEFORE Shot of My Cabinet – So Exciting! I am trying a new endeavor…a BLOG! Bear with me as I try to figure this all out! I am in York, PA currently visiting family. I just love this holiday! This is a time when we as a family get to visit the York/Lancaster are for a full 5 days! This is a special treat for us as typically such a long visit is difficult due to our work schedules! My husband is a pastor so visits to our hometown typically only comprise of Fridays and Saturdays with a late night travelling excursion home Saturday evening as Sunday is a busy day for our family! We love having a relaxed schedule while visiting…we stay with Chris’ family for the entirity and drive to Lancaster to visit as well. We all indulge in a delicious dinner with all the trimmings and it is great just to goof off together. I am so blessed with such a great family. I am thankful to God for all he has given me. We then celebrate Christmas as well while we are here doing our gift exchange Thursday and Friday with both sides of the family. We stay put at Christmastime as this is our time as a family and a time we celebrate the birth of our Savior Jesus with our church friends and family. In addition, the weather in Northeast Pennsylvania can get wicked at this time of year so we generally avoid travelling for the season. I am looking forward to decorating my home for the holidays this year. We had listed our home for sale and spent one year on the market, but recently surrendered to taking it off and deciding to make some needed changes in our home instead as the market is so bad. We also felt as if moving was simply not in God’s plan at this point in our lives. This was a hard surrender for me personally as I really wanted to move closer to our church home and to get into a home with a bit more room as our family has grown. God is showing me that what we have is adequate and so much more than others have…I feel truely blessed and grateful to Him for His gift of provision. So…I am persuing working on my home to make it more what I want and desire…I enjoy this greatly! This has become my passion (or obsession if you ask my husband!). I love taking old things and freshing them up, changing them or creating something new! 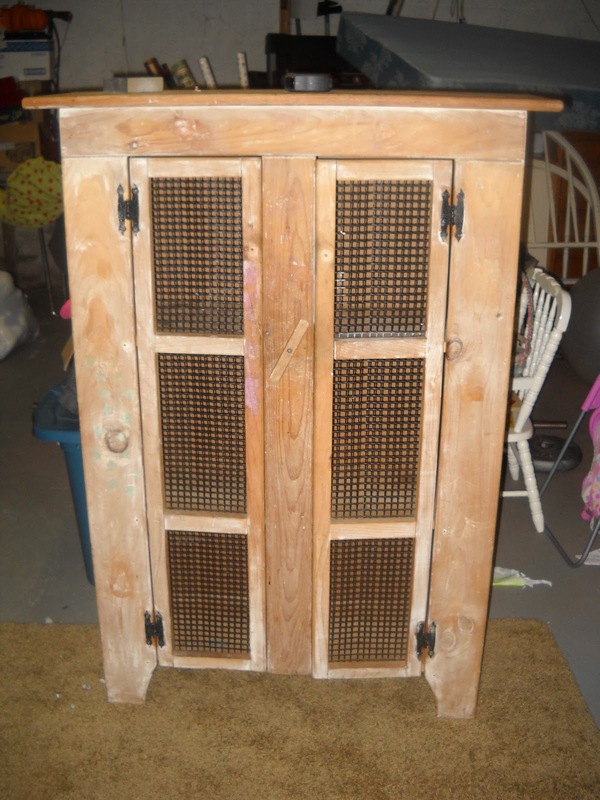 I am working on so many projects right now…in process is a pie cabinet I found on Craigslist which I am going to use for a cabinet in the bathroom for towels, linens, and toiletries…I love it! I sanded and primed and painted … I just need to finish the doors and pick up some chicken wire for them…I ordered cool handpainted knobs from Etsy for $2.80 apiece which is in my price range…they are pretty. I love the paper I put on the back of the cabinet…stay tuned for the before/after shots which will be posted in the near future! I am also about the begin a new project – redoing a large china cabinet! It is big and bulky and dark, but has great bones so to speak. I found this piece FREE on Freecycle! BTW, I am a Freecycle fanatic! I love taking someone’s junk and turning it into treasure! I have a great vision for it…stay tuned for this as well! Anyway, the family just arrived and I need to jump into the shower and get ready for the festivites in store (Scrabble, football, parades, food, chasing kids and playing Kung Foo Panda with them, and maybe if I’m lucky some time to throw in some exercise…). Have a wonderful and blessed holiday!